Take advantage of big data, analytics, artificial Intelligence (AI), and machine learning (ML). Integrate consumer health apps, wearables, and the Internet of Medical Things (IoMT). Combat cybersecurity threats, breaches, and ransomware. Deliver the best patient care. Reduce healthcare costs (now 7 percent of GDP in the UK and almost 18 percent of GDP in the United States). Enhance patient and clinician experiences. And all with limited budget and resources! Cloud computing can help healthcare organizations focus on patient care and reducing costs, and it enables IT to be more flexible, agile, scalable, and secure as the healthcare industry changes and grows. A key challenge to adopting cloud computing is that healthcare needs solutions, not IT projects. Healthcare organizations of every size often have limited IT and cybersecurity resources burdened with maintaining existing IT infrastructure. So how can they create new solutions? 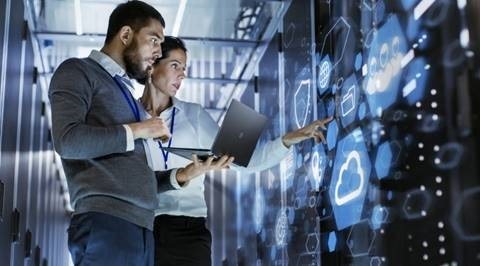 To rapidly acquire new capabilities and implement new solutions, healthcare IT and developers can now take advantage of industry-specific Azure Blueprints. These are packages that include reference architectures, guidance, how-to guides and other documentation, and may also include executable code and sample test data built around a key use case of interest to healthcare organizations. Blueprints also contain components to support privacy, security, and compliance initiatives, including threat models, security controls, responsibility matrices, and compliance audit reports. Here we focus on four new blueprints created to support UK National Health Service (NHS) cloud initiatives, as well as an existing blueprint for AI in healthcare that includes HIPAA and HITRUST compliance support. Any of these blueprints can be used worldwide with suitable customization. This example illustrates customizing the data warehouse blueprint for a target use case such as a clinical data warehouse for a life sciences organization. If you haven’t already got an Azure environment, establish one. You can get started free in less than 10 minutes. Pick the blueprint closest to your target use case. Update the architecture if needed. Typically, the architecture for your target use case will remain the same as (or very similar to) the blueprint you choose. Customize the blueprint to your target use case including updating documentation. Switch any test data to your data. Change any components as needed—for example, if you need a different database. Update security and compliance to meet internal organizational requirements. This is based on your privacy and security risk assessment and compliance with all regulatory rules, security standards, and data protection law requirements. Implement any other changes required to meet your business and technical requirements. A reference architecture and guidance for a data analytics solution suitable for the collection, storage, analysis, and retrieval of sensitive healthcare data. A reference architecture and guidance for a data warehouse solution suitable for securely ingesting, staging, storing, and interacting with sensitive healthcare data. A reference architecture and guidance for an infrastructure as a service (IaaS) web application suitable for the collection, storage, and retrieval of sensitive healthcare data. 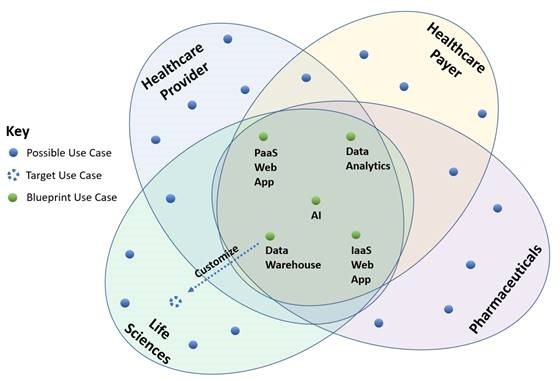 A reference architecture and guidance for a platform as a service (PaaS) solution suitable for the collection, storage, and retrieval of sensitive healthcare data. I post regularly about new developments in healthcare, cloud computing, security, privacy, compliance, blockchain, and AI on social media. You can find me on LinkedIn and Twitter. What other opportunities and challenges do you see with blueprints for a secure healthcare cloud? I welcome your feedback and questions.